2. 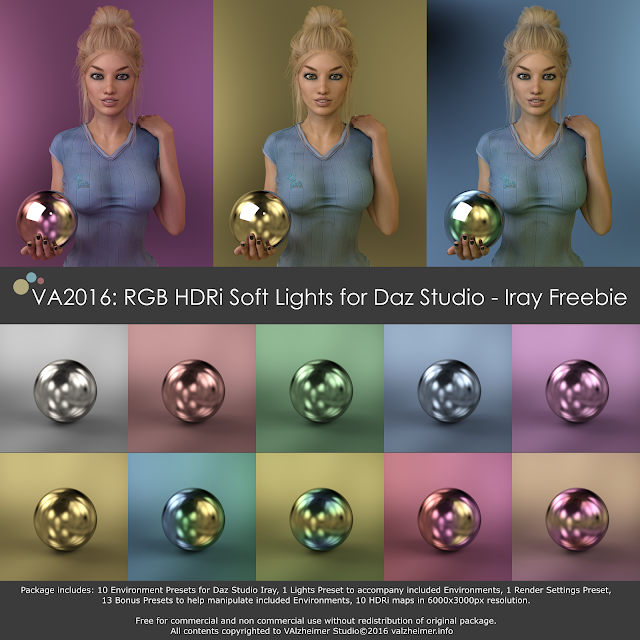 For use of HDRI maps only in other 3D applications: extract HDRI maps from this zip file located in the folder Content > Runtime > Textures > VAlzheimer > SoftHDRI to your preferred location. Rendered in Daz Studio 4.9 Iray, no postwork in shown images aside form composition. Logo and text added in Inkscape.